On Sunday 22nd April the sun shone for the annual Charity Classic Vehicle Club (CCVC UK), Drive It Day ‘Great War Rally’. 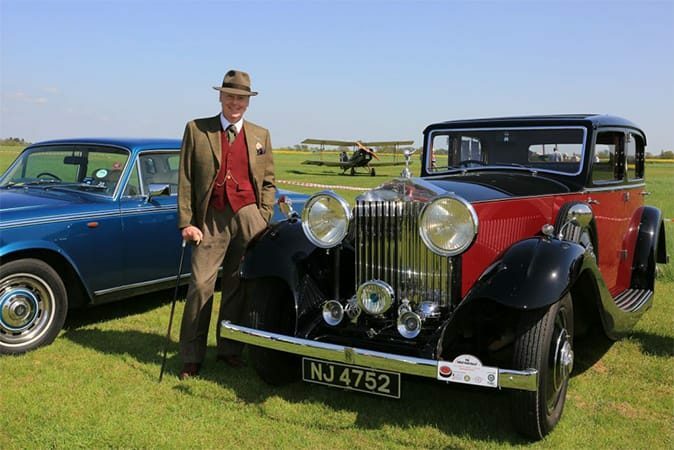 Organised by TWO founder and CCVC Chairman Alan Osborn, fellow car enthusiasts and the Rotary Club Billericay Mayflower, this annual event is one of the highlights of the CCVC calendar. 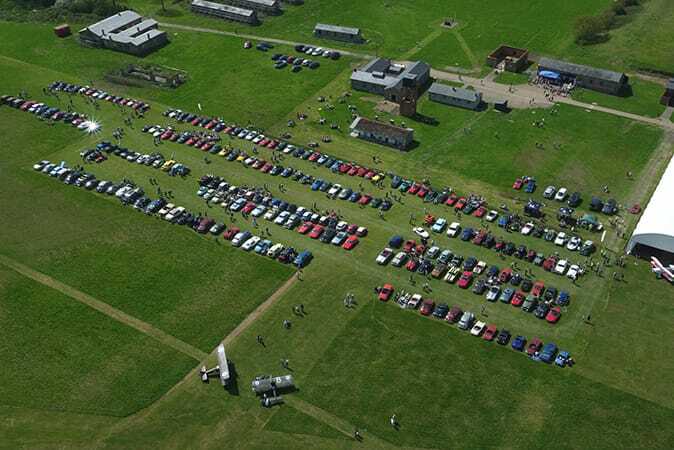 271 vehicles including rare, thoroughbred or classic cars such as Minis, MGs, Bentleys, American cars and, oldest of all, 1914 Sunbeams, set off from Sutton Hall on a 45 mile route through Essex country lanes. Their destination was Stow Maries Great War Aerodrome – the only remaining intact WW1 aerodrome in the UK. A significant location in Essex history, it was home to 37 (Home Defence) Squadron, Royal Flying Corp. from 1916 to 1919 as part of a ring of aerodromes to defend London from attacks from German Zeppelin airships and Gotha Bombers. Rally participants began arriving at the venue from 11am onwards where the cars parked up among the historic bi-planes, for the crowds to admire. Awards were presented in a number of car categories, as well as a ‘Best Dressed’ award for those drivers wearing costumes to match the period of their car. Since its foundation in 2001, CCVC UK has raised and distributed over £200,000 to many local and national charities. We are delighted to report that this successful event raised over £5,300 – the majority of which will go to Help for Heroes – the leading charity for military veterans. Donations will also be made to Stow Maries Aerodrome and the Rotary Club, whose volunteers provided excellent marshalling on the day. "TWO Services carry out our deep clean service and work around the times we are able to provide. They are most helpful whatever the problem and always give us a superb quality of service"
Following a recent deep clean the kitchen was left immaculate, thank you very much. Over the years we have come to know the staff; they are the most helpful people we have found in the kitchen clean and maintenance industry. I would like to thank the team at TWO for the support provided over the last 2 years. The support we get from the customer service team is above and beyond. Please pass on my big thanks to the team who were involved in our recent Deep Clean – TWO did an excellent job.